A favorite long time flying friend sent me a copy of a picture today, 9/11/13, that had been taken in August of 2001. 3 FA’s and a friend are together on a boat in SFO harbor on a sunny but windy day. The 4 are wearing light jackets, their backs are to the wind, there are whitecaps in the water, hair is being blown around. Smiles on all 4 faces, and their arms are wrapped all around each other in a side-by-side group hug. 3 weeks later, two of the people in that photograph were no longer with us. 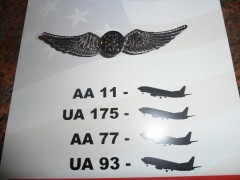 For Amy King & Mike Tarrou, for Amy Jarret, for all of the 33 crew from AA and UA, and to all the others of 9/11, you will never be forgotten. 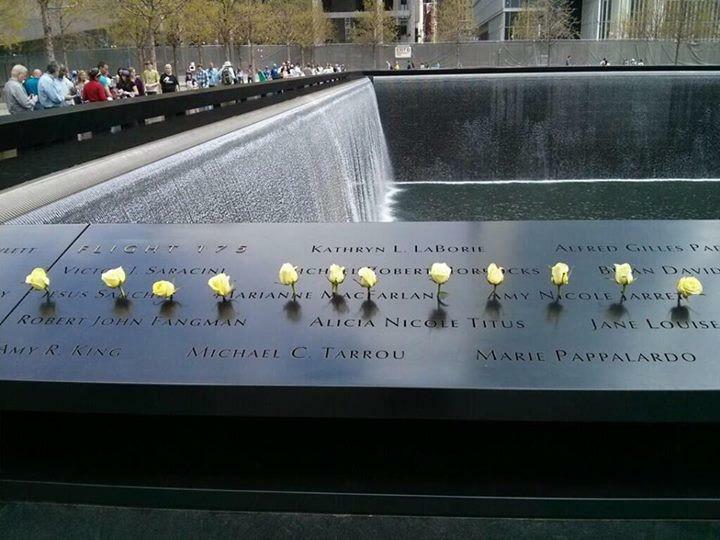 This entry was posted on September 11, 2013 by jlroehr in Passenger thoughts and tagged 9/11, Amy jarret, Amy King, Barbara dorger, Boston, Flight 11, Flight 175, Flight 77, Flight 93, Flight attendant, Michael Tarrou, North Tower, Our 33, San Francisco, south tower, the sky angel, windows on the world.